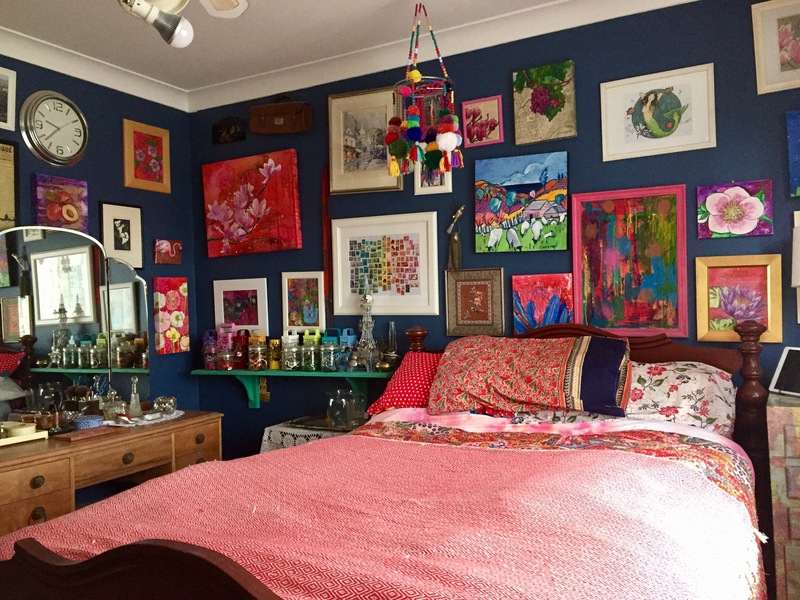 As I was washing the sheets this week I realised I hadn’t shared an October bed post. 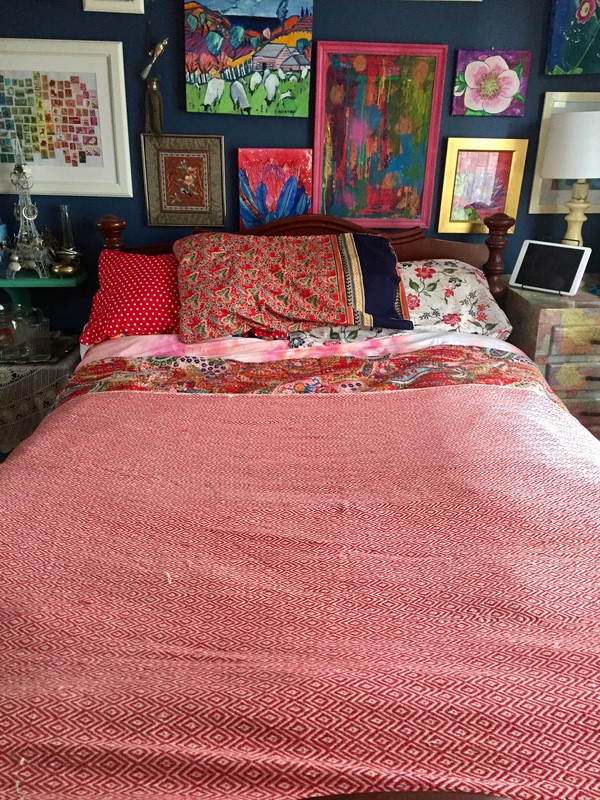 So here it is, lots of reds this time, using one of my recently obtained op shop throws. Unfortunately the cats love these throws, and they’ve already pulled threads in them. 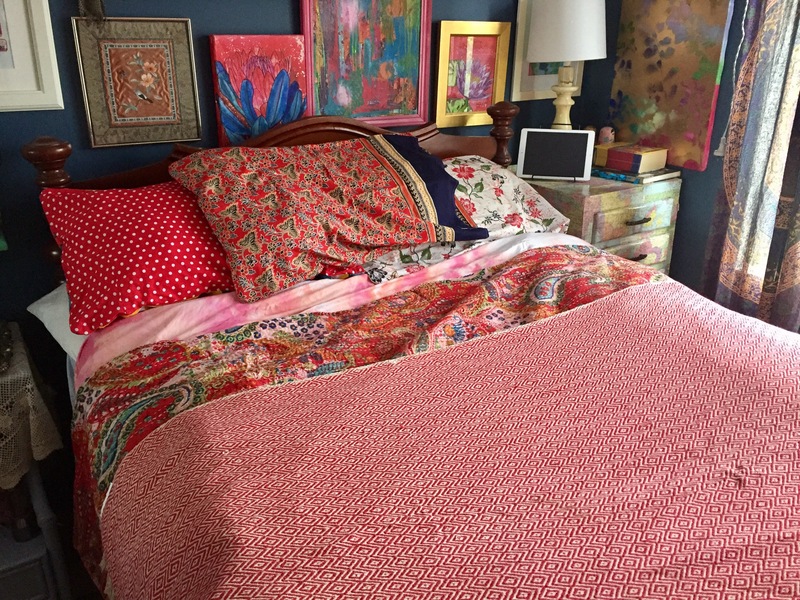 This entry was posted in Bed Posts, Decorating, Op Shopping and tagged bed, bedroom, bohemian, eclectic, linen, op shop, op shopping, red, textiles, thrift store, thrifted, vintage. Bookmark the permalink. This room is probably the epitome of my style. 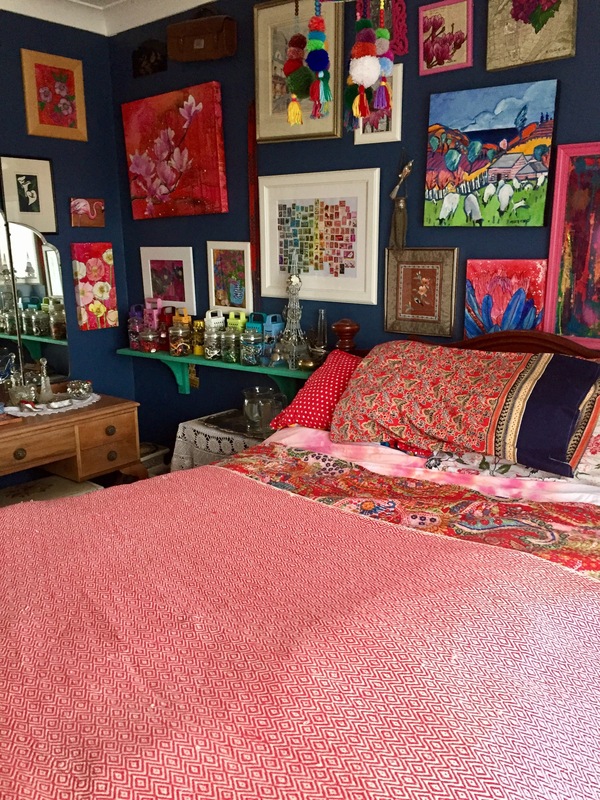 Eclectic and colourful but very much a sanctuary. It took me a long time to decide what colour to paint the walls (they were cream when I bought the house) but the minute the last coat of blue paint went on I was in love. Then I just stuffed the room full of my artworks and stuff…. it’s heavenly to me, I love every inch! Great space! I love the art collection on the wall. Off to check out the rest of your blog!